Which TV shows are doing the best? The worst? Cancelled or renewed? Wondering how your favorite series are doing in the ratings? Here are the season average ratings of the 2017-18 network TV shows — through the end of week 17 (Sunday, January 15, 2018). ABC shows (so far): 20/20, America’s Funniest Home Videos, American Housewife, Black-ish, Child Support, Dancing with the Stars, Designated Survivor, Fresh Off the Boat, The Gifted, The Goldbergs, The Good Doctor, The Great American Baking Show, The Great Christmas Light Fight, Grey’s Anatomy, How to Get Away with Murder, Kevin (Probably) Saves the World, Marvel’s Agents of SHIELD, Marvel’s Inhumans, Match Game, The Middle, Modern Family, Once Upon a Time, Scandal, Shark Tank, Speechless, Ten Days in the Valley, and The Toy Box. CBS shows this season (so far): 48 Hours, 60 Minutes, 9JKL, The Amazing Race, The Big Bang Theory, Blue Bloods, Bull, Criminal Minds, Hawaii Five-0, Kevin Can Wait, Life In Pieces, MacGyver, Madam Secretary, Man with a Plan, The Mayor, Me Myself & I, Mom, NCIS, NCIS: Los Angeles, NCIS: New Orleans, Scorpion, SEAL Team, Superior Donuts, Survivor, SWAT, Wisdom of the Crowd, and Young Sheldon. CW shows this season (so far): Arrow, Crazy Ex-Girlfriend, DC’s Legends of Tomorrow, Dynasty, The Flash, Jane the Virgin, Riverdale, Supergirl, Supernatural, and Valor. 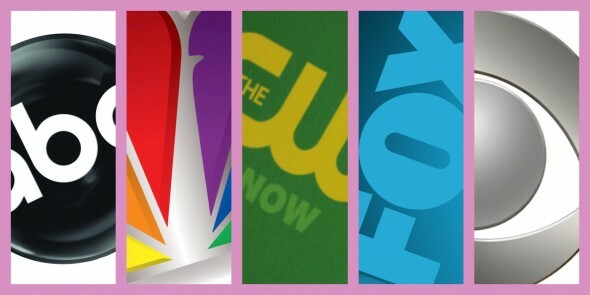 FOX shows this season (so far): 9-1-1, Bob’s Burgers, Brooklyn Nine-Nine, Empire, The Exorcist, Family Guy, The Four: Battle for Stardom, Ghosted, Gotham, Hell’s Kitchen, LA to Vegas, The Last Man on Earth, Lethal Weapon, The Mick, The Orville, The Simpsons, Star, and The X-Files. NBC shows this season (so far): Better Late Than Never, The Blacklist, Blindspot, The Brave, Chicago Fire, Chicago Med, Chicago PD, Dateline NBC, Ellen’s Game of Games, The Good Place, Great News, Law & Order: Special Victims Unit, Law & Order True Crime, Superstore, Taken, This Is Us, The Voice, The Wall, and Will & Grace. Note: If you’re not seeing the updated charts, please try reloading the page. You can also view them here. The averages are based on the final national numbers (live plus same day viewing). The demos are typically reported with one decimal place but I’ve included two for more accurate ranking. Keep in mind that the demo numbers are typically what’s most important to advertisers. Therefore, that’s how the networks measure success. Advertisers pay more for ad time on a show that has a higher demo rating. Because older viewers don’t count? No, it’s because younger viewers watch less traditional TV and are harder to reach. What do you think? Are you surprised by any of the ratings? Which shows should be doing better?